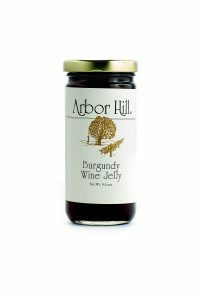 This is one of the more popular table grapes known in the Finger Lakes Region. 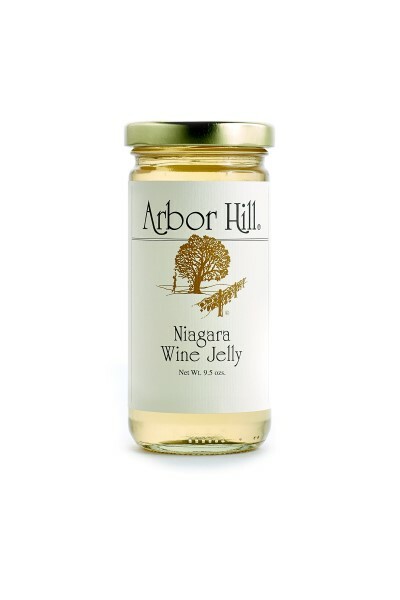 The Niagara wine jelly is light in color, but very robust in flavor. Smell and taste it you will think your in the vineyard. 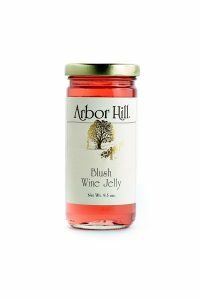 Try it with cheese and crackers or on your morning toast. What a great start to your day! 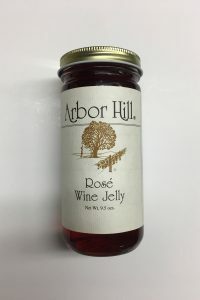 Arbor Hill Tip: Take any Arbor Hill jellies and simply serve with crackers and cream cheese the taste is an immediate hit for a tasty appetizer or simple snack. Also, check out our online cookbook for more ideas.